Gideon wasn’t afraid to ask questions or to confront, even an angel of the Lord. Although he didn’t know it, he was a man of valor. God did not give up on him but consistently led him so that eventually through his actions, Gideon blessed the people of Israel, delivering them out of oppression resulting from disobedience and back into God’s favor. The angel of the Lord appeared to Gideon and said, “The Lord is with you.” Gideon’s immediate response was akin to a phrase we often say today, “Yeah, right,” meaning, I hear you, but I don’t really believe what you’re saying! Gideon was not afraid to confront even the angel of the Lord and ask, in so many words, if the Lord is with us, why are we in this condition, then? The Lord just kept going—He always knows He is right. He didn’t explain why they were in that position to Gideon just then—Gideon likely already knew, as this pattern of disobedience and punishment had gone on in Israel for quite some time. The angel simply urged Him to go, with his “might” (a declaration from God of what Gideon had, although he didn’t see it himself) and “save Israel from the hand of Midian.” Furthermore, he reminded Gideon that it was God Himself who was sending him to do such a thing. At this point, Gideon realized he was hearing from the Lord, but in his human weakness, he still protested, telling God he was in the weakest clan of Manasseh and the least within his own family. God, in His supreme patience, gave Gideon further encouragement and assured him that he would not be alone. God would be with Gideon, and when Gideon fought the Midianites, it would be as if he was fighting one man. Wow. Think about that … what if all the obstacles I think are in the way of me publishing my first book are all really as one thing? Did Gideon jump up and down and say, “Yes! Let’s get ’em now”? Nope. He needed some everyday, concrete, bona fide proof that if he were to be bold enough to fight the Midianites, God would come through. He even went back into doubting it was God in the first place, and said, if this is really you show me a sign. Of course, God passed Gideon’s tests with brilliant colors and even allowed Gideon to see His angel vanish right in front of him! That, you might think, should have been more than enough! Then God had a test of his own, one of obedience, where he asked Gideon to tear down the altar of Baal that his people had been worshiping. Gideon knew this would anger the people but he did it anyway. Your decisions may not always be popular, but if God says do it, then do it. Now Gideon fully trusted that this was God; and God knew He could trust Gideon to be obedient, so “the Spirit of the Lord clothed Gideon,” and he gathered the warriors he needed. Before Gideon was bold enough to do the unthinkable and tear down their altar of Baal, the people weren’t even thinking of going against the enemy—the one whose gods had become theirs. But now they saw God’s hands upon Gideon and followed him, preparing for battle. Even with troops backing him, Gideon had more tests for God! What does this mean? Could this have just been Gideon’s way of checking in and saying, “OK, you brought me through the obstacles to get here, but now that the show is about to go down, will you be with me then, too?” The strongest human would probably have been exacerbated by this time. God’s response? He simply did what Gideon asked, assuaging his unease about the upcoming battle and strengthening him to keep moving toward it. God is rooting for you. He knows that sometimes you need both spiritual and natural signs to forge ahead with what He’s told you to do—even if He’s already revealed to you that you are on the right path. That’s just our human nature. So don’t beat yourself up about it. Keep doing what Gideon did: check with God. You will need His detailed counsel, His wisdom and His strategy. God’s words do not lie; they do not return void. What has He told you lately? Are you still testing Him at His word? Or do you now believe it? So now Gideon has encamped his men, weeded down from 32,000 to 300. You can do the same: Just ask God and He will sort out the wheat from the chafe of all the choices you have to help get your assignment accomplished. So, now Gideon and his 300 warriors are ready for the showdown. Yet, Gideon is still a bit wary. God knows this, but this time, He offers Gideon assurance even before he can ask! He allows him to overhear what happens in a dream—by the enemy—as well as its interpretation, which points to Gideon’s victory, even naming him in the interpretation. Gideon worships God in thanksgiving and relief. Now he is as ready as he will ever be, and he moves that very night in obedience to God. Here’s one of my favorite parts about this moving story: When Gideon’s 300 men were obedient to him and followed his exact instructions, they didn’t even have to actually fight to win the war! God not only went with Gideon but fought for him! When the enemy heard the trumpets blow from Gideon’s men, they were afraid. Perhaps they thought to themselves that surely there must be a great number of Israelites about to attack if so many trumpets are summoning the men for battle! So afraid, that they were obviously bewildered, for they turned and fought each other! Those not killed from that melee turned and ran, and the Israelites were able to pursue, capture and subdue. For the full story of Gideon, read Judges 6 and 7 in the Bible. 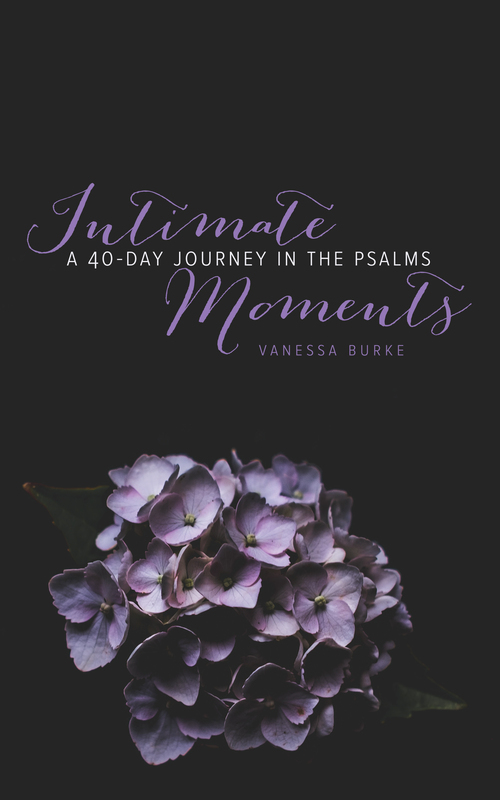 Intimate Moments – Available Now! How to Attract the King – ebook Coming Soon!